Little Augie Pisano was perhaps the quintessential mafioso. Born Anthony Carfano, Little Augie took his nickname from a deceased East Side gangster. He came up the hard way as a gunman and sported a huge scar on his left cheek which he wore as a badge of honor, much in the style of an aristocratic Prussian duelist. 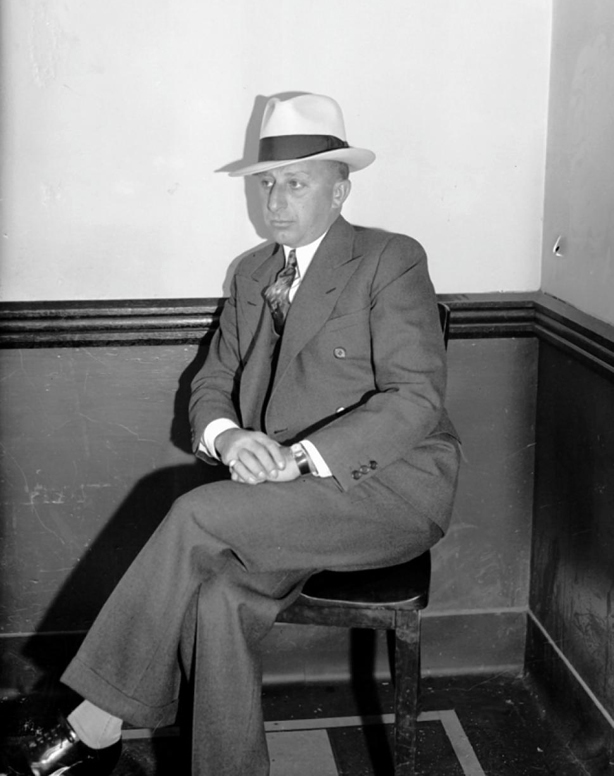 A longtime friend of Frank Costello and Joe Adonis (and for a time running Brooklyn rackets for the latter) Little Augie Pisano exhibited only one real sign of overwhelming ambition—he moved to Miami with plans to make it his private fiefdom. Miami represented an enormous rackets potential and required a fine touch with political circles. But Meyer Lansky saw its potential too and that it would require a huge amount of underworld manpower and brains. Lansky urged that the cities of Miami and Miami Beach be declared "open territory" (as would be done later with Las Vegas) so that various crime families could skim their grand potential. Despite Costello's closeness to Pisano he ordered him to curb his ambition and understand he had to work with Lansky. A dutiful soldier, Pisano did, and his loyalty thereafter to both Costello and Lansky never diminished. In the end, his loyalty was to prove the death of him. In 1957 Vito Genovese, seeking to take control of the Lucky Luciano crime family, under the local direction of Costello since Luciano's deportation in 1946, ordered Costello assassinated. The job was botched and Costello survived. Costello refused to tell the police who had tried to kill him, but Genovese, fearing all-out war, ordered all the important members of the crime family to report to his Atlantic Highlands, New Jersey, mansion—now an armed camp surrounded by 40 gunners, as a demonstration of unity with his cause. Little Augie was the sole capo—at the time he ran the family's rackets in the upper Bronx— who refused to show. It was a sin Genovese would not forget, but he had more pressing matters, dealing with Costello and the murderous Albert Anastasia who had vowed to stop Genovese. Although Anastasia was eliminated, Genovese was forced to let Costello retire from the rackets, and it was apparently part of the deal that Little Augie was accepted back in good grace. 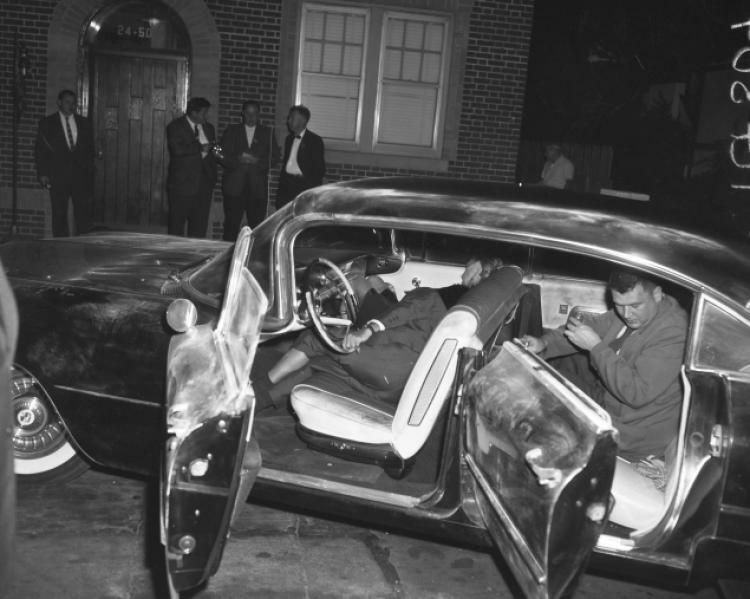 The peace lasted until 1959 when Genovese ordered Little Augie hit. The would-be assassins had considerable trouble getting Little Augie alone. He was often with his good friend Tony Bender, chief operator of the crime family's rackets in Greenwich Village, and the killers asked if it was all right to blow away Bender at the same time. Genovese had a strong need for Bender at the time and vetoed the suggestion. Finally Bender discovered his good friend was being set up and he cheerfully agreed to put Little Augie on the spot. They were joined, apparently by chance, by Bender who invited them and a few others to dine with him at Marino's restaurant, not far from the Copa. During dinner a phone call caused Little Augie to leave hurriedly, Mrs. Drake on his arm. At 10:30 P.M., about 45 minutes later, they were found in Little Augie's black Cadillac on a dark street near La Guardia Airport in Queens. Both were sitting in the front seat, heads tilted toward each other like young lovers. Both had been shot in the back of the head. Police later theorized that the killers had been hiding in the back seat of Little Augie's car and forced him to drive to his place of execution. Mrs. Drake, they said, had died just because she happened to be along for the ride.